Are you familiar with the Laerdal Tunnel? This European, underground road is the world's largest. Traversing between cities, it will take you on a 20 minute, nearly 15 mile long adventure. Though it does not provide emergency exits, many safety precautions have been made in the event of accidents or fires. Prepare for a lane change—switching gears to the world's smallest tunnel. The tarsal tunnel. Much closer to home, its size may not enthrall you, but an accident in this tunnel could leave you immobile. 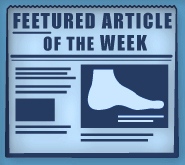 Luckily our experts have carefully thought out treatment options in the case of emergency or tarsal tunnel syndrome. The tarsal tunnel is a narrow space that lies on the inside of your ankle. It is covered by a thick ligament that protects and maintains the arteries, tendons, nerves, and veins that are responsible for providing movement and flexibility. One of these nerves happens to be the posterior tibial nerve, which provides sensation to the bottom of the foot. When this nerve becomes compressed or squeezed, you may experience tingling and burning, numbness, and shooting pain. This condition is the result of anything that causes the nerve to become compressed. A person with flat feet is more susceptible to this circumstance due to the outward tilting of his or her heels. Flat or fallen arches produce a great amount of strain on the posterior tibial nerve. Other contributors are enlarged structures in the tunnel that grow to occupy the entire space. Examples of these structures include: varicose veins, cysts, swollen tendons, or bone spurs. If you sustain injury to the ankle, perhaps a sprain, the associated inflammation and swelling may also result in compression. Other risk factors include diseases such as diabetes and arthritis. How Do I Fix My Foot? There are a variety of treatment options available to you. At the Foot Doctor of the East Bay, we suggest staying off the foot and restricting movement to prevent further damage and encourage healing. You can apply ice to the ankle for 20 minutes at a time, waiting at least 40 minutes between applications. Over-the-counter medications can help to reduce the pain and inflammation. Physical therapy exercises and ultrasound therapies can work to reduce your symptoms. In addition, injection therapy makes use of anesthetics to provide pain relief. Our office also provides custom orthotics that work to maintain your arches and limit the motions that may be the root of your pain. We can direct you to the correct supportive footwear and even provide you with braces to reduce the amount of pressure on your feet. In some cases, surgery may be required. Make an appointment with Foot Doctor of the East Bay by calling (510) 483-3390. We have offices in San Leandro, Los Gatos, and Pleasanton, CA. Let us assess your situation and find the best treatment plan possible. Do something good for your feet and care for the tunnels close to home. After all, a sturdy foundation is important to a solid structure.